Morning Journal/Katie White Zachary Dougherty, 4, of Poland, and his father Kevin Dougherty watch closely as the Sn-2 scale train makes its way along the railroad track Saturday at the Salem CenterPlex, which hosted the annual scale train event. The scale train is owned and operated by David Keith of Cincinnati. SALEM — The scale train hobby is evolving with the times, and scale train enthusiasts hope more young people get involved. Scale trains are model trains designed to precision as replicas of the original trains used in the railroad industry. On Friday and Saturday, the Salem CenterPlex hosted the 27th annual Midwest Scale Train Show. Participants came from all over the United States, with the farthest traveling from Dallas, Texas. 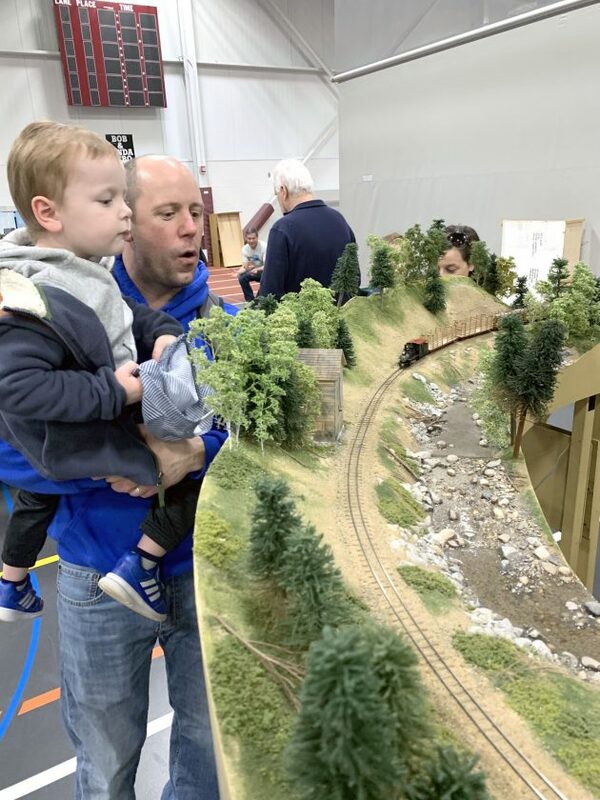 “This was the original virtual reality,” show co-coordinator Steve Skodzinsky said, referring to how the model trains exemplified the reality of existing and past railroad lines on a smaller scale. The hobby is keeping pace with technology, with some model trains operated via Bluetooth technology on phones, Skodzinsky said. He and event coordinator Gary Kohler hope the younger generation shows an interest in the hobby. But it’s not just about the hobby alone, he also hopes they learn the history behind the trains. Kohler said when the train shows first started they were invitation only, but now the public is encouraged to see what the hobby is all about. “It has really worked for us,” he said of allowing the public to attend. This year marked the second year for the event to be held at the Salem CenterPlex, and the show plans to return next year as well. Kohler said participation has been the highest last year and this year out of all 27 years, making them the largest shows to date. Participants come from all over the U.S., and even other countries. Participants range in age from their 30s to their 80s. This year’s show consisted of 300 participants. The show consists of both layout presenters and scale train dealers and features speakers the cover historical topics and the latest technologies in model railroading. James Canter of Indianapolis had his O-scale train on display. The train is a replica of the Nickel Plate Road, which ran from Cleveland to Lima in Ohio, and New York, Chicago and St. Louis. “Everything is prototypical. All of the trains are made out of brass,” he said. 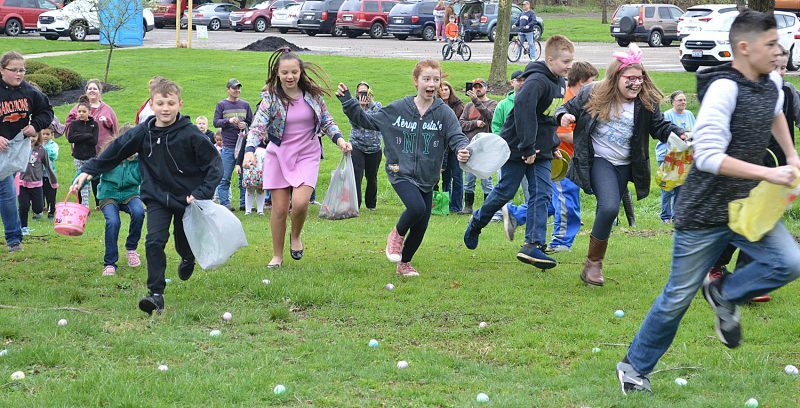 Canter is a member of the Nickel Plate Road Historical Society, a non-profit organization dedicated to the preservation and promotion of the Nickel Plate Road. Other participants came from Michigan, Wisconsin, Maryland, Cincinnati, and states along the east coast, in addition to the one from Texas. “It’s a brotherhood of people but we invite people to come join,” Skodzinsky said.